Our Campaigns feature allows you to do just that! To create a new campaign, click the +Add New button in the upper right, and click Campaign. 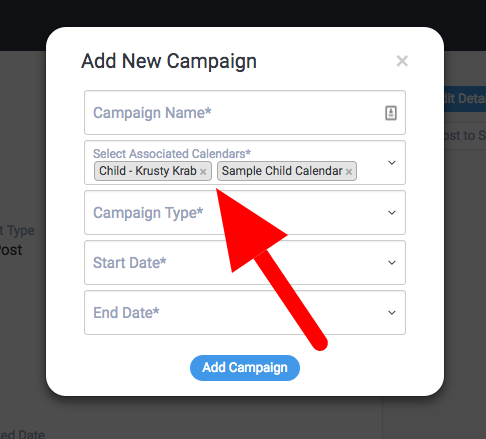 Type in your campaign name > select associated calendars > choose the campaign type > select the date span of the campaign > click save. The date span selected within this overlay will determine how the campaign spans on the calendar. A campaign will display inline on the calendar if the date span is 14 days or less. If the campaign spans for more than 14 days, the campaign will display at the top of the calendar. For details about our campaign feature give our deep-dive article a read.